so I heard blue is the “ONG” colour this year. so here’s my blue 3 tone nails. not exactly now actually but something different. =D. maybe you can try this out? so delicious I get hungry looking at it! my friend’s gel nails were so pretty. but it’s really not difficult to imitate. 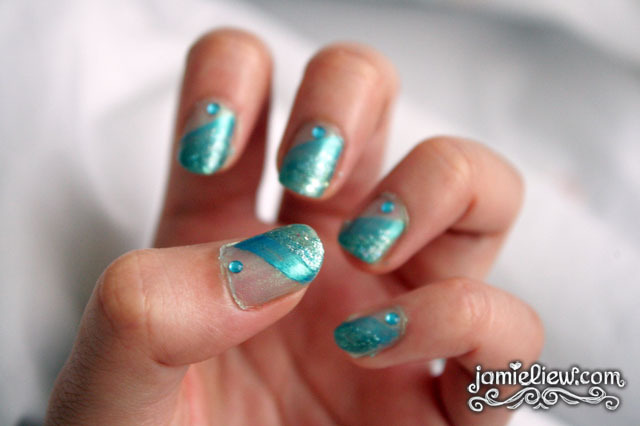 just put thick layers of transparent nail polish =D. 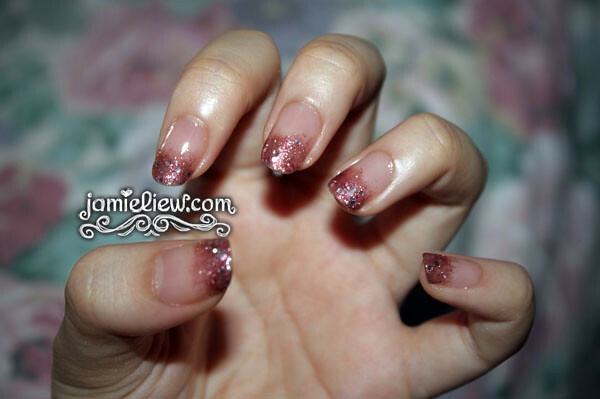 Pink French Nail + Konad. <3. I must start using other designs hahaha. but this one’s really the best. <3 <3. for something I did myself, not bad right? hehe. there is really lots of designs, well, this one is one I created myself, also using it currently. =D. There’s a lot to mess with Konad really! A different color for the same design. 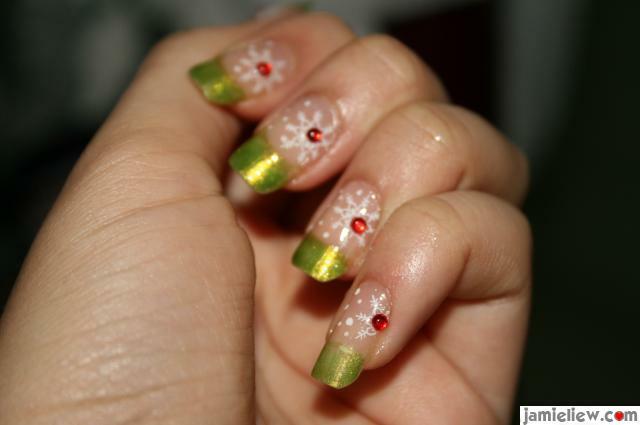 Konad Nail Art + Sponge Art. hey people! ever heard of Konad? 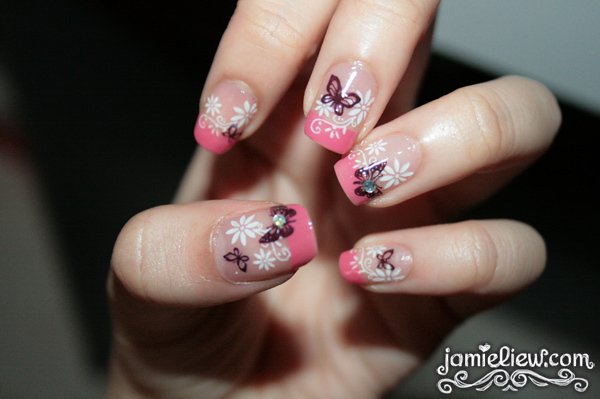 you really gotta try, one day I was surfing the net and I found these really pretty nail art stuff. I am not sure if I leave anything out in this tutorial but I hope you’d find it useful =D. Stuff: nail file, nail scraper, 2 nail polish of your choice, base coat, faux diamond. Konad stuff: special polish of your choice, image plate, plate scraper, stamper. 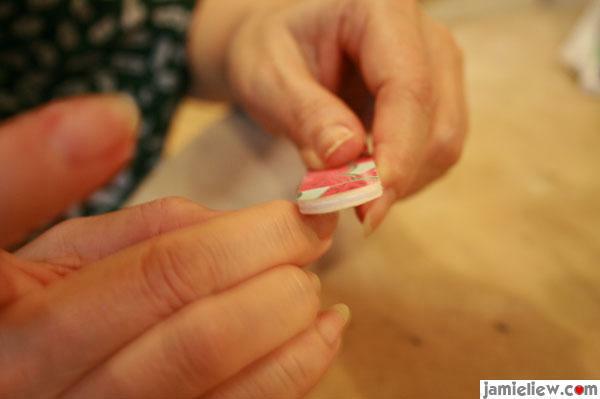 STEP ONE: FILE YOUR NAIL.